What's The Point of Appearing on ABC's Shark Tank? One year after hearing those words from Kevin O’Leary, Donna Khalife isn’t licking her wounds. 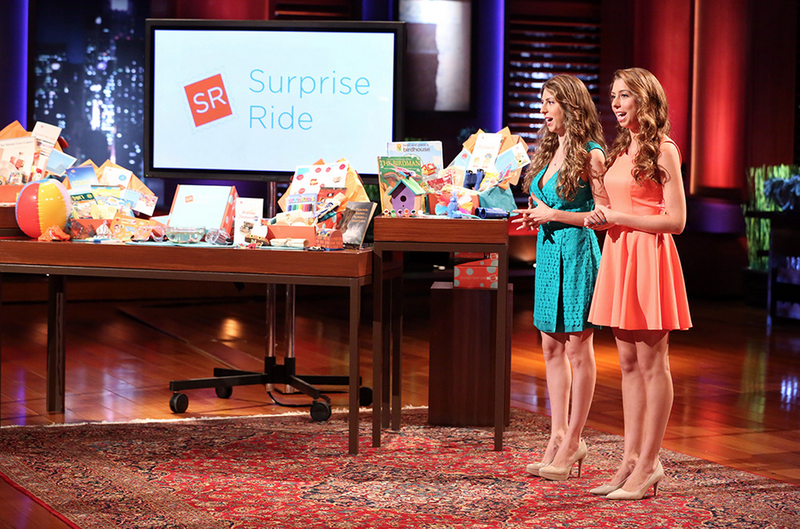 In November 2013, she and her sister/co-founder Rosy appeared on ABC’s Shark Tank. Their startup, Surprise Ride, had launched in beta mode earlier that year, founded on $5,000 of the sisters’ money. 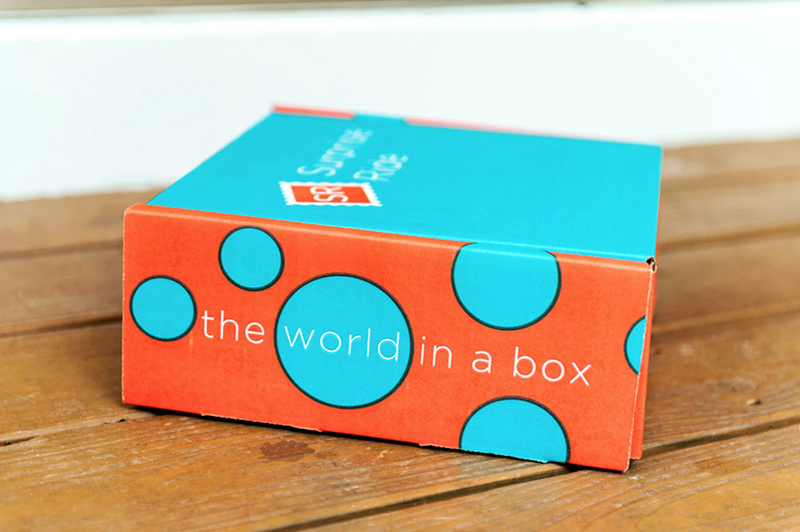 Of all the startups that appeared on their episode, Surprise Ride – a Birchbox for kids that sends thematic, hands-on activities through monthly mail subscriptions – was the only one to receive an investment offer. But it misaligned with the sisters’ goal. Tech giant Robert Herjavec praised the product throughout the show, and loved the Khalife’s scrappy success story (they fled Lebanon as child war refugees). But his offer – $110,000 for 25 percent equity – exceeded their offer for 10 percent. And after the Khalife’s asked more sharks for offers, Herjavec rescinded his own. Speaking from Surprise Ride’s Dupont Circle office, Donna says she wouldn’t change a thing. She knows the drama that unfolded on TV has been a slam dunk for the Washington, D.C.-based business. “Our sales have skyrocketed,” Donna told The Next Web. “We’ve shipped over 30,000 boxes across the country since appearing on the show. We partnered with country music star Sara Evans and Hidden Valley to design a ride that gets kids involved in meal-planning and eating more veggies. That partnership with Hidden Valley earned Surprise Ride a shout out on ABC’s The View, where all audience members earned Surprise Ride subscriptions. Khalife says co-host Sherri Shepherd became a customer after watching them on Shark Tank, and adds that it’s one of many milestones they have met in defiance of the sharks. In his typically brazen fashion, Marc Cuban had questioned the Khalife’s request for $110k. Cuban said it wouldn’t be enough to carry them through this year. His argument echoed Herjavec’s claim that Surprise Ride’s executional risk justified his high equity offer. On the show, she projected $500,000 in sales from 3,500 new customers over this past year. Thanks to their appearance on Shark Tank, the business exceeded those expectations and surpassed its one-year projections a full year ahead of schedule – without spending a penny on paid marketing. “Shark Tank put us on the map in a way we couldn’t have achieved without a ton of capital,” Donna says. “You can’t buy over 10 minutes of primetime TV on the number one watched show on Friday night. Beyond the 7 to 8 million viewers who watch the show, the episodes can re-air and are often watched on demand. Surprise Ride isn’t the first startup to succeed without the sharks. Donna and Rosy agree with TJ Hale’s estimate that an appearance on Shark Tank is worth between $4 and $5 million in marketing. In a startup market poised to produce global players, Surprise Ride is now a standout. It was nominated as one of the Coolest Companies in DC and one of DC’s 50 on Fire by InTheCapital. The Khalife’s have raised half a million dollars in seed funding, and have a current round open. Their team has grown in size, earning Surprise Ride a larger office in Dupont. One year after swimming with the sharks, the Khalife sisters know they were right. Donna says that while they haven’t heard from any of the sharks since filming their episode, Lori Greiner’s Tweet was worth a thousand characters. They had hoped to gain an investment from the QVC mogul along with her wisdom on marketing to moms. Despite her praise of Surprise Ride, Greiner turned down their request. She said they would learn more on their own than if they relied on investment. Her prediction has come true. This post is part of Web Summit’s Global Blogger’s Network, a series of articles on startups in the Washington, D.C. Metro area. The 4th annual Web Summit kicks off in Dublin on November 4. Read next: What fuels a startup’s success: The drive to win or fear of failure?